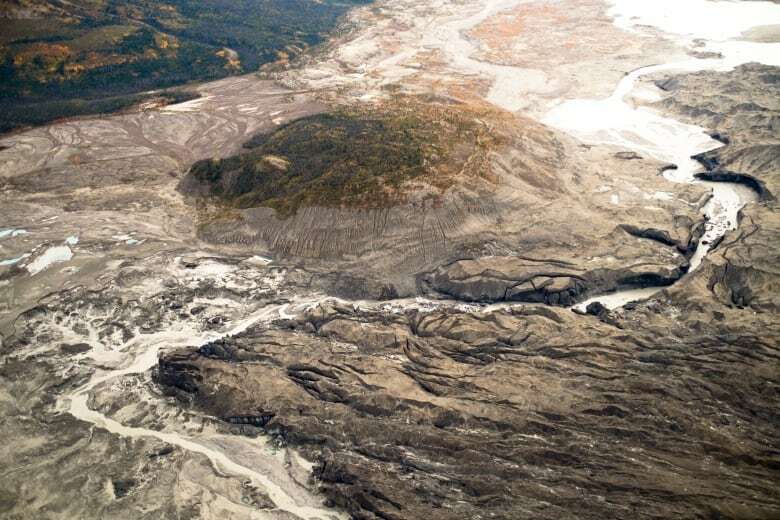 Climate change has caused the massive Kaskawulsh Glacier in the Yukon to retreat so much that its meltwater abruptly switched direction, in the first documented case of "river piracy" in modern times. Instead of flowing into the Slims River and then north to the Bering Sea, the water has changed course and now flows south toward the Kaskawulsh River, the Gulf of Alaska and the Pacific Ocean, scientists have found. Also known as stream capture, river piracy is a term used to describe a geologic phenomenon where a stream or river is diverted toward another body of water. It's usually caused by a dramatic tectonic event, such as a landslide or glacial dam collapse. "This was the first event we could find where river piracy occurred right under our noses and due to contemporary climate change," said Dan Shugar, a geoscientist at the University of Washington Tacoma and lead author of a study published Monday in the journal Nature Geoscience. 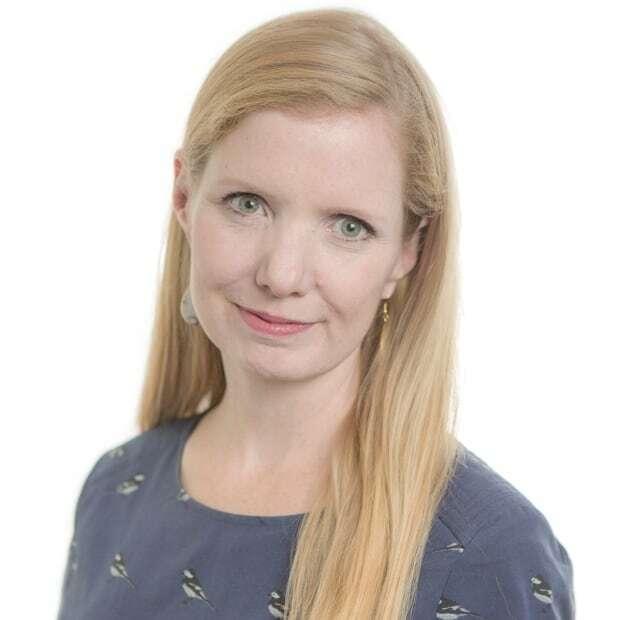 Previous cases of river piracy may have taken place thousands of years ago or more, said Shugar in an interview with CBC News. The discovery of the change happened last summer, quite by accident for this team of scientists. Shugar and colleague James Best, a professor of geology and geography from the University of Illinois, travelled to the Slims River in the Kluane National Park and Reserve west of Haines Junction, Yukon, last summer. It was his first summer as a professor, and Shugar had a grant to study changes to the flow of the Slims. "We went there anticipating low flow and it turned out to be no flow," said Shugar. Best said the change compared to their previous visit was "absolutely astonishing." "Where there had been blue, shimmering shallow water, it was now exposed sediment, and it had dried out. The afternoon wind in that area was picking up that sediment and dust and was creating a huge dust storm," said Best. "We had a walk across the now exposed delta … and sometimes you couldn't see further than five or 10 metres in front of you and the dust was getting caught in your throat." Not wanting to come home without an explanation for what happened to the river, the researchers decided to fly with some other colleagues by helicopter to the headwaters, he said. They secured permission to bring a mapping drone to help survey the area. The group discovered that, where previously the glacier had melted into two ponds and then flowed into the Slims, the meltwater had carved a new 30-metre canyon through the glacier towards a lower elevation. "Rivers always try to find the easiest path to lower elevation," said Shugar. As a result of the glacier retreating about 1.9 kilometres over the past 100 years, the meltwater had now found a steeper gradient down to one river instead of the other, said Best. Their colleague and co-author John Clague had speculated in a 2006 study that the Slims River would eventually disappear, but none of them predicted the timeframe. River gauges show there was an abrupt drop in the water level in just four days between May 26 and May 29, 2016. Given that these mountainous landscapes were carved by glaciers over millennia, geologically it's considered "an absolutely instantaneous event," said Best. He said that witnessing it "is just a fantastic opportunity for research that has implications not just for [earth scientists] but long-lived potential effects, not only on the landscape but everything that inhabits and lives on and in the landscape." Shugar said he feels "very lucky" to be able to document a significant geological event so early in his academic career. 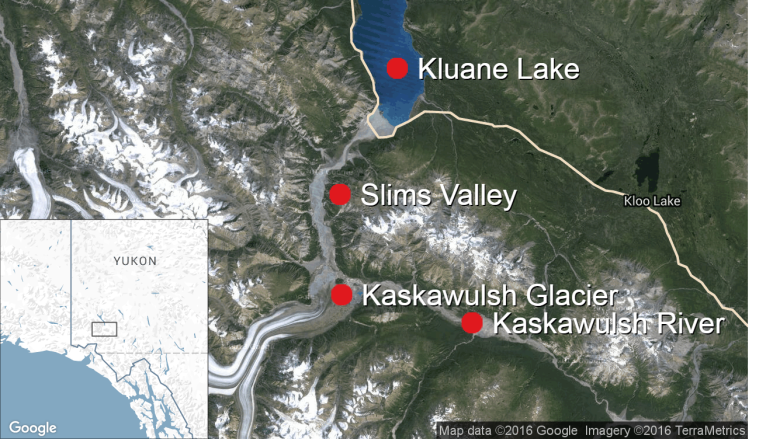 "Some luck was involved, of course, as [we] were there to study Slims River and Kluane Lake anyway. The area is so dynamic, that if we'd waited a year to go there, we probably wouldn't have been able to tell the same story," he said. While the event is academically exciting for the scientists, they warn that the cause of the river piracy is quite serious. "Climate change is happening, is affecting us and it's not just about far-off islands in the South Pacific. It's not just about sea-level rise for them," said Shugar. "The effects can be very rapid and can be somewhat unanticipated." "Climate change may bring new changes that we're not even really thinking about." John Clague, not Jim Clague, is the research paper co-author.